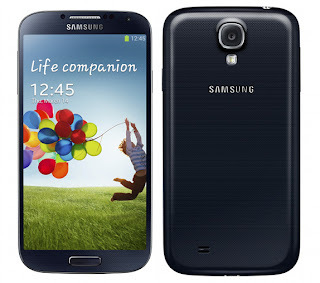 Samsung has launched the Galaxy S4 in India. The flagship smartphone from the Korean company runs on the Android operating software. It will be available online as well as in retail stores at a price of Rs 41,500 from tomorrow noon. The launch of the Galaxy S4 in India is part of the device's global launch. It will go on sale in over 50 countries by the end of this month. In India, Samsung is launching the Exynos version of the Galaxy S4. This means the device is powered by an 8-core processor. It has 2GB RAM, 16GB internal storage with provision to extend it through a micro SD card of up to 64GB and a 5-inch superAMOLED screen with FullHD resolution. The rear camera can take images in 13 mega pixels while the front camera can shoot 2MP images. Other than the top of the line hardware, Samsung claims the device has some unique software features like smart stay, multi-window view and air gestures. It is powered by Android 4.2.2 and is customized with Touchwiz user interface. "At Samsung, we are committed to innovation and to our consumers... we innovate to give the products that meet their needs," said JK Shin, CEO of IT and mobile division at Samsung. Samsung, which has over 40% share in the smartphone market in India, is hoping that the Galaxy S4 will help it widen the lead over competitors, especially Apple. The two companies are currently in the middle of a price war. Apple has not only cut the prices on the older models of iPhones but is also offering to pay a minimum of Rs 7,000 for the consumer's old smartphone if he buys iPhone 4. Samsung has responded by offering consumers 15% cash back on select models of Galaxy smartphones if they buy the devices using a credit card. However, Galaxy S4 is not covered under the cash back scheme. Other than compete with iPhone 5, which costs Rs 45,500, Galaxy S4 will also take on HTC One, the flagship smartphone from HTC priced at Rs 42,990.